Last summer, I did a small budget cast iron radiator refinishing job for our kitchen. Very small—about $28. It went really well—I’ll most likely be doing the same thing for most of the other radiators in the house that are awaiting refinishing. Back in 2008, though, we went with a super-spendy alternative for two of them. We were in the middle of renovating the upstairs bathroom at the time and we’d decided to send out the sink and tub to be refinished off-site, so it made sense to throw in a couple of radiators. I’ve been getting a lot of questions lately about what we had done, so I thought I’d do a proper post and show off the results. Before (2006) and after (2014)! It’s hard to tell from the before shot, but the radiator had a lot of rust buildup on it. Someone had recently given it a silver re-coat (note the overspray on the wall above), but there were layers and layers of peeling paint underneath. All those layers of paint make radiators less efficient, and as the bottom layers fail further, the top layer deteriorates pretty quickly. It’s a losing battle. At a certain point, you have to take the existing paint off and start over. We bought the house during heating season, and this radiator’s valve was leaking a ton of water into the kitchen ceiling below it. We have a single-pipe steam system (as opposed to dual-pipe hot water), and I don’t think the steam was even making it through the body of the radiator—it was just condensing at the valve and leaking. Between that and the broken boiler, I understand why the tenants were using an electric space heater back there! We had a plumber in right away to disconnect the radiator and cap the line above the floor so the leaking would at least stop while we figured out what to do with that room. We used a local place to do our refinishing, Extreme Powder Coating in New Windsor, New York. They showed up with two burly guys who carried everything down the stairs, out the front door, and into the back of a Hummer. Let me tell you, moving two cast iron radiators, a cast iron sink, AND a cast iron clawfoot tub is no joke. This radiator alone probably weighs about 400 lbs, and clawfoot tubs are around 300…so…yeah. It was hard to watch them go down the stairs. I kept envisioning the guy on the bottom—who was walking backwards—losing his grip and being squashed under the tub. A few weeks later (it took them longer than expected because sandblasting the tub took some trial and error), everything was redelivered. The detail on the radiator looks so crisp without all of the lumpy paint under it. Sandblasting removes everything down to the bare metal, so even just not having 100 years of filth between the fins is a relief. Powder-coating, by the way, is a relatively safe process in terms of toxicity—unlike spray paint. There are no solvents used (it’s a dry powder that gets baked on), and no VOC emissions. It’s also super durable, so a well-maintained radiator that’s been totally stripped and coated should last a very long time without needing to be re-coated. This winter, we replaced all of the vents on our radiators. Depending on the type, vents typically cost less than $20. They’re easy to change out, and it’s a simple fix that will get rid of steam whistling and sputtering. That’s the kind of thing I’m talking about when I mention radiator maintenance—if you have a leaky vent that’s dripping condensed steam, you’re going to wind up with rust. Just buy a new vent! Here’s a good instructional video from This Old House. This is embarrassing to admit, but the refinished radiator sat, disconnected, in the studio for FIVE YEARS before we had the plumber come to install a new valve for us last fall. We had to change some piping in the basement beforehand, and we couldn’t do that until we dealt with the kitchen radiator…and, of course, the kitchen renovation would up dragging on for an eternity, so…that’s just how it goes. That room has been preeeeeeetty cold in the winters, let me tell you! I still need to take care of the exposed part of the supply pipe. 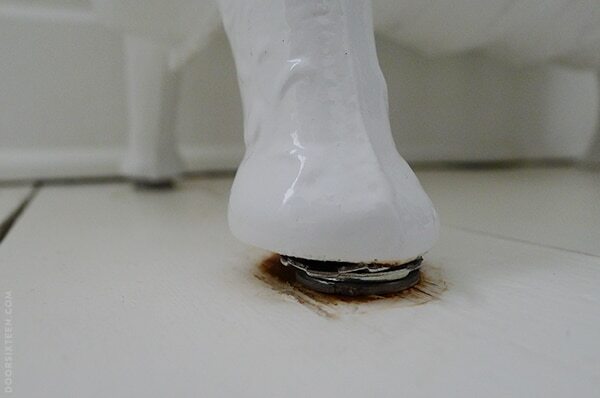 I’m going to paint it white with a enamel made for metal, and get a fancy brass flange to hide the chewed-up wood around the hole in the floor. I’m thinking about this pretty floral one, probably in white. I need one for the kitchen radiator, too, but I’ll go with bare brass in there. 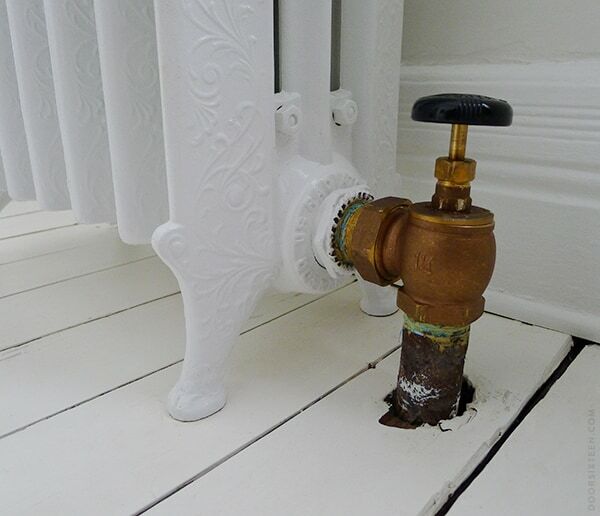 Steam radiators need to slope toward the boiler/supply pipe so that steam doesn’t get trapped in the system and condense. When you hear banging in radiator pipes, that’s trapped water that can’t be displaced by rushing steam. Large steel washers work well as shims! See the rust under the feet? Yup, that’s the result of a leaking vent. Fortunately we caught it in time, and the rust hasn’t spread or damaged the coating. 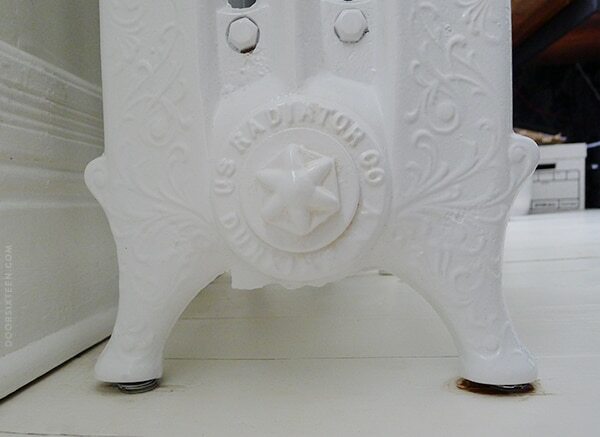 Most of our radiators were made by the US Radiator Co. in Dunkirk, NY. I had a tough time finding out much history about this company, but I did spend some time looking at their “complete” catalog (PDF). I’m not sure what year it’s from, but it definitely postdates the ornate radiators in our house. My guess is that most of our radiators are from around the turn of the century. I love that something so simple can still provide reliable, efficient heat 120 years after it was built, and that it looks so pretty while doing its job. 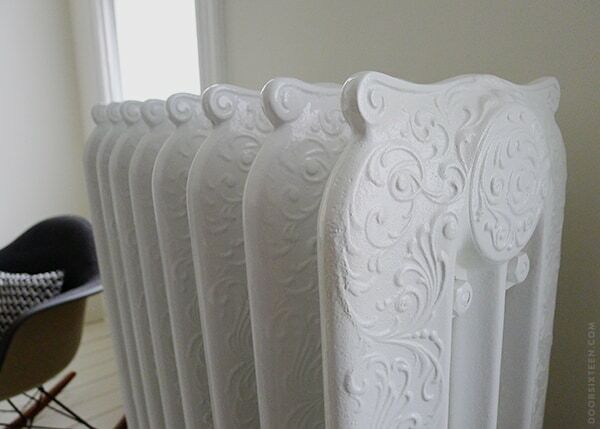 Costs for having cast iron radiators sandblasted and powder-coated can vary wildly depending on your location and the size of your radiator, but you can expect to pay $200-300. That doesn’t include the cost of having a plumber come in disconnect the radiator (and, just as importantly, cap the line) and reconnect it/install a new valve later, which can run you up a couple hundred dollars more if you can’t do that part yourself. So no, it’s not $28 worth of spray paint, but if you have a radiator that’s in really bad shape or you’re refinishing a bunch of other stuff at the same time (or if you just have bags of money lying around), the results are excellent. ‘Steam radiators need to slope toward the radiator’– typo? I keep rereading it trying to figure it out. I didn’t know that about the banging sound. Interesting. 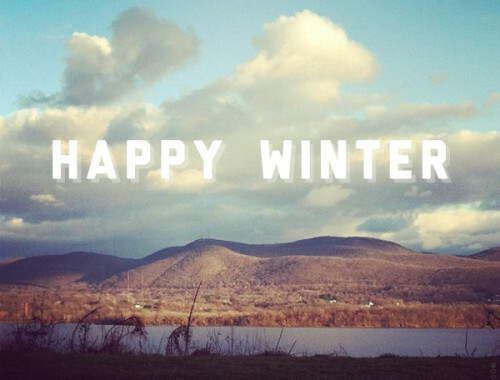 It’s so pretty. 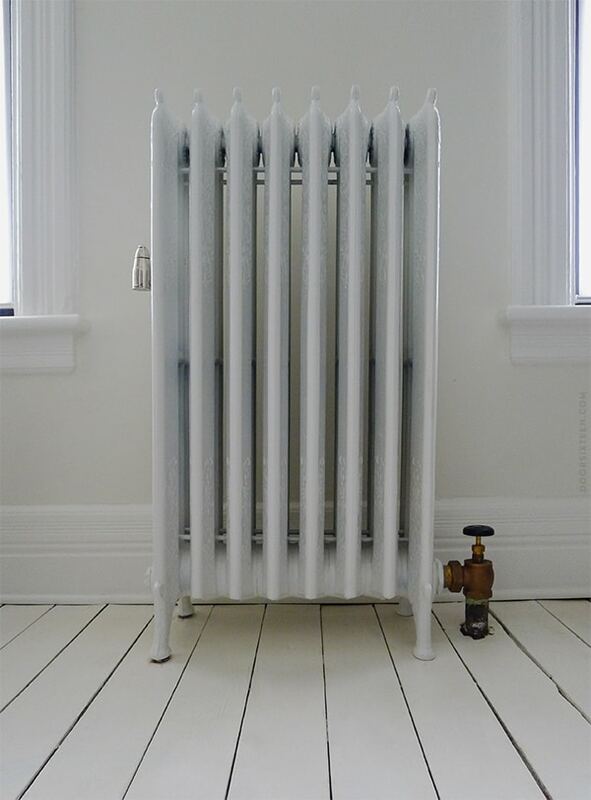 I’ve never had to deal with radiators but I think they look super cool. And kinda intimidating. Thank you so much for posting this, especially the price range and the close ups of that beautiful detail. We have been slowly working on our 1910 house and it has some great ones that I would truly love to have redone “right” someday. This is inspiring! Never have had to live with radiators, but appreciate the info! 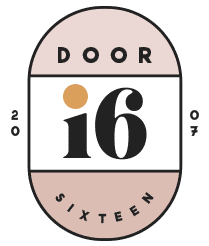 Yours look stunning and congratulations on keeping the original look and feel of your lovely home. Seems to me that steam heat like that would be pretty energy efficient, depending on what heats the water? Sometimes those 19th century solutions make a lot of sense. We just switched to gas from oil, which is a bit more efficient (and definitely cheaper), but unfortunately because it’s a steam system rather than hot water, the variety of boilers to choose from is somewhat limited. All in all, though, these radiators do a great job of heating rooms very quickly, and since they retain so much heat, they continue to radiate warmth even after the boiler has stopped. 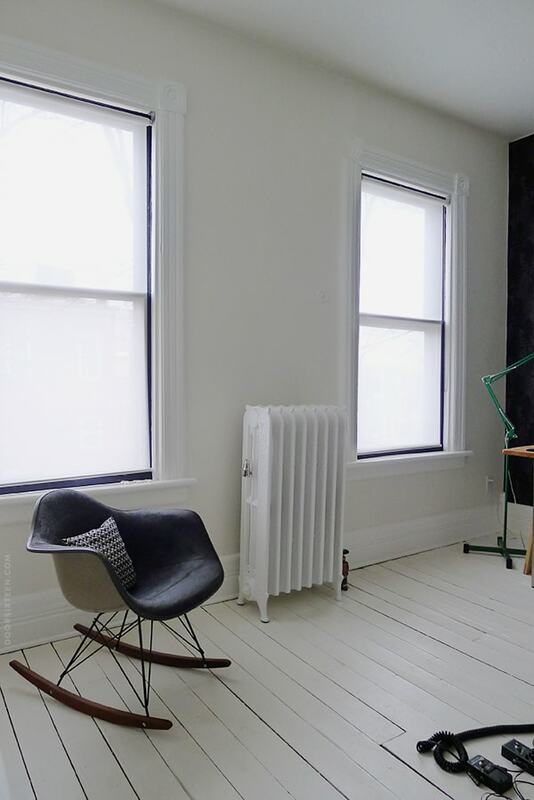 For what it’s worth, we have hot water radiators, and the consultant from the utility company who came to set up our conversion to gas sad that our 100 year-old cast iron radiators were very efficient—much more efficient than baseboard radiators. We have a very efficient boiler, but I’d still say that our heat bills haven’t been so bad this winter, and that’s with a VERY drafty mid-renovation house (missing ceilings, holes in walls…we’re a mess!). I love radiators! It looks great! I had two of mine sandblasted when I had the kitchen renovated. They look so beautiful now. I chose a silver gloss powder coating. They also give off so much heat now that they’re hot to the touch! It’s really warmed up that cold room. 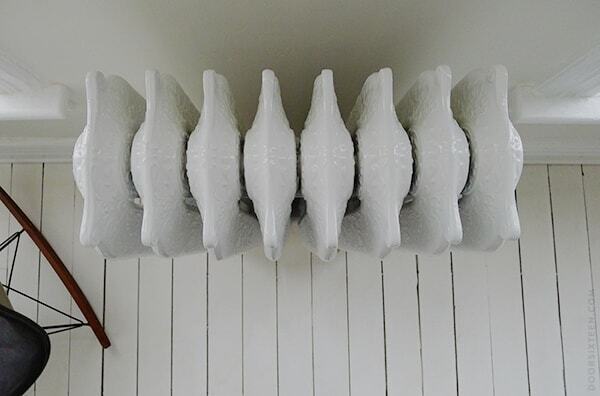 I never knew a radiator could look so pretty. I’m always just so impressed with all of your renovations. It never occurred to me that I could buy fancy flanges. Now I want fancy flanges. Caulk! On a radiator! Wonders never cease. And yeah, there’s a fancy version of everything basic. Sigh. I’m using the lure of fancy flanges as incentive to refinish more radiators. So gorgeous! I miss radiators. We have fairly unattractive hot water baseboards in our new house. Can you say a few words about your oil-to-gas conversion? Did you have the tank removed? Was the whole process expensive? It’s something I’d like to do down the line….thanks! Liz, the whole boiler/oil tank thing is probably worthy of its own post but briefly: Yes, it was expensive, but mostly because we needed to buy a whole new boiler at the same time. If you already have a dual-fuel boiler, it will be much cheaper to switch over (assuming there’s already a gas line running to your house). And yes, we do have to have the oil tank removed—we have a certain amount of time (I think it’s a year in NYS, but don’t quote me) to do that, though, so we’re waiting until the weather is a bit better and we’ve had a chance to do a good clean out of our basement. Those radiators are just stunning. It’s amazing what was underneath all that paint. And I would have never thought that the amount of paint that was on them would contribute to their efficiency! But then duh, that makes sense. I’ve been meaning to leave a gushy comment on your blog for a long time now. 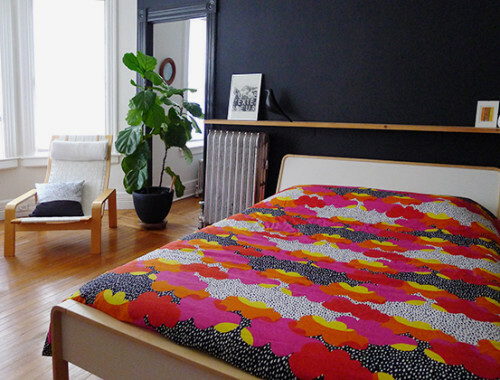 Your style and eye for design is incredible, and has greatly affected (or is it effected? I never know) and influenced my style over the years. I don’t know how I came across your blog, but I’m hella glad I did. The thought, care and attention that has gone into renovating your home is so inspiring. My husband and I are renters at the moment, and you make me want to buy a house so I can start the same kind of adventure and projects. Our house was switched over to forced air sometime in the 50’s or 60’s, and I wish they had just kept the radiators! To run forced air in our tiny storefront used up a ton of wall space, and we still have inefficient heating. Not to mention radiators are so much nicer to look at than bulkheads and floor ducts. I’m guessing it was a door to door salesman who convinced the previous owner to make the switch. They also got sucked into installing aluminum siding over the brick in the 70’s along with about 40% of our street. Must have been one hell of a salesperson. Yeah, Newburgh is a good example of what’s sometimes referred to as “preservation by neglect.” A lot of the renovation/modernization trends of the ’60s and ’70s (aluminum or vinyl siding, replacement windows, forced-air heating, etc.) never took hold here because so many properties were turned into rentals that haven’t been maintained. That’s the one good thing that has come out of the absentee landlord/”slumlord” situation—things weren’t changed because there was no money or authority to change them. Now, with historic preservation rules in effect, the exteriors of homes here are at least protected. Wow, WJ, those radiators are VERY cool!! I love how deep they are. Really nice. And yeah, I definitely agree—the guys who did the work are awesome. They really went beyond the call with this job, and it was the first time they’d done these types of pieces. We went back to them again when we needed the decorative iron work on our porch roof refinished, and that also came out beautifully. That radiator is absolutely gorgeous! 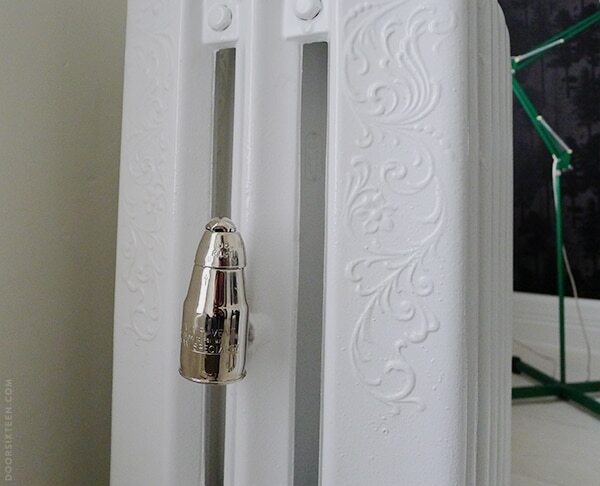 Is it weird that I get swoony over pretty radiators? Well, I do. Great information, as always! I’ll bookmark this for the day when I finally buy my dream Victorian to renovate. The result looks well worth the effort and investment into the house! Thanks for sharing your experience. I’m currently living in a rented apartment that’s part of a big historical home with radiators that probably have a few coats of paint on them and ugh, the nasty paint chips and rust underneath! Not much we can do about it though but if it were our house, we’d likely shell out the money to sandblast and polish up the radiators too. Oh that looks lovely! Thank you so much for all this radiator info. I grew up with forced air & no one I know has a steam boiler with radiators like I do so I learned so much from your post. 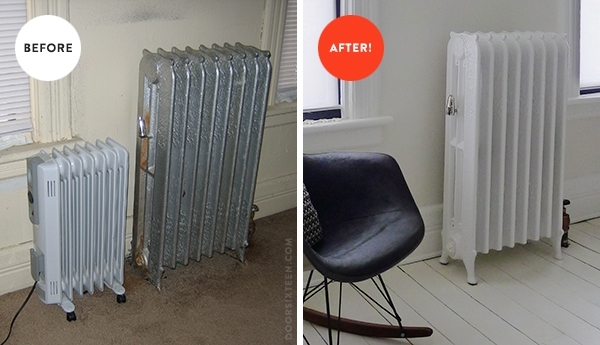 I had no idea old radiators could look SO GOOD! I’m used to seeing the ugly silver monstrosities. We’re dying to ditch the forced air in our 1917 American System-Built home … this post has just made us die a little more! Oh my, now I have another item to add to my house to do list. Looks like we’ll have to save up another $1000 or so to make our old radiators look as stunning as yours! But what great information, just in case a grand or so ever lands in our laps! Thanks for the info! 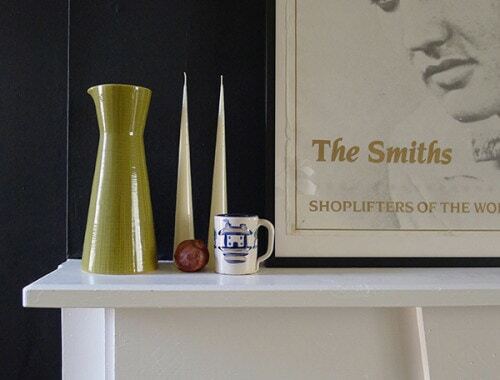 Can’t beat these cast iron radiators…they are so beautiful and retain the heat.